During a recent fan meeting, superstar HA Jung-woo revealed who would be joining him in the upcoming period sports drama Boston 1947. 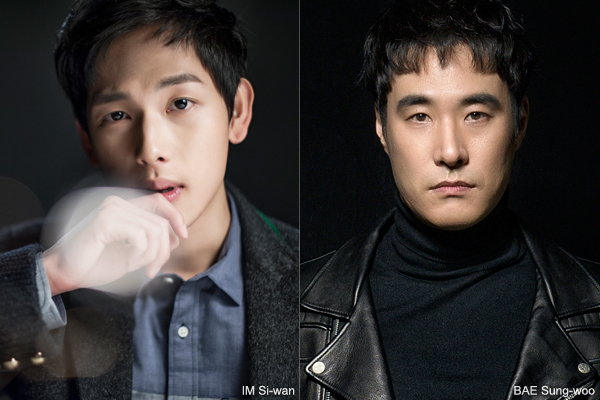 Young star IM Si-wan and character actor BAE Sung-woo appear set to star alongside HA in the KANG Je-kyu-directed marathon drama. Set during the first international marathon competition to take place after World War II, Boston 1947 will feature HA as Korea’s marathon coach SOHN Kee-chung, a former marathon runner who won gold at the Berlin Olympics in 1936, with BAE playing his right-hand man and IM as SUH Yun-bok, the Korean athlete who would go on to win the Boston Marathon that year against the odds. Boston 1947 will mark the first role for IM, a member of the popular K-pop outfit ZE:A, following his discharge from military service on March 27. IM’s previous screen credits include the Cannes Midnight Screenings selection The Merciless (2017) and the hit trial drama The Attorney (2013). BAE is one of the most reliable supporting actors in the Korean film industry and has been a vital ingredient of many box office hits, including Veteran (2015), Inside Men (2015) and The Great Battle (2018). Meanwhile, the previously announced lead HA was recently seen in Along with the Gods: The Two Worlds (2017), Along with the Gods: The Last 49 Days (2018) and Take Point (2018). Director KANG is known for his action epics, including Swiri (1999) and TaeGukGi: Brotherhood Of War (2004), both of which became the most successful Korean films of all time at the time of their respective release.